Has anyone got any experience using Sector35 metal tracks? At least from photos, they look at lot like e.g. 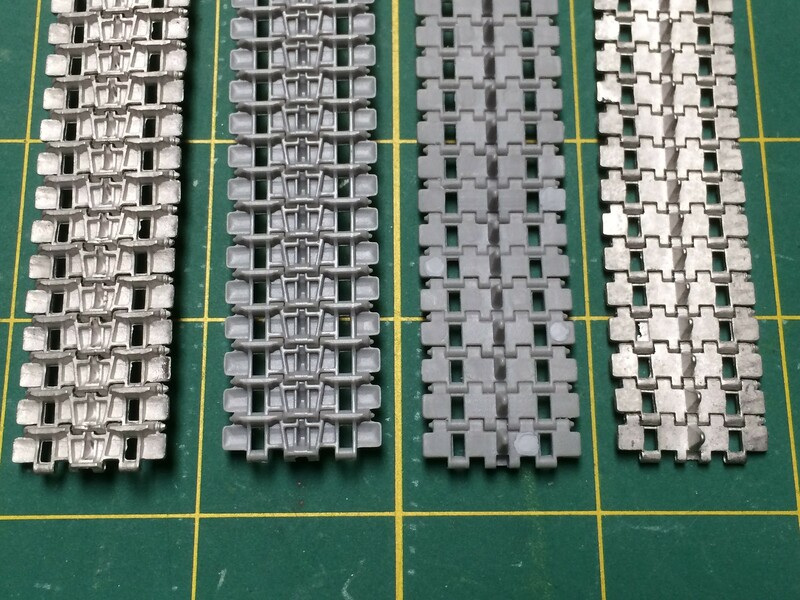 Friul tracks (cast metal + wire) and I'm thinking about trying them out on a Meng Panther Ausf. A build. They look exactly like Friuls, but they come about 95% assembled. Some loose track segments plus wire are included to finish the runs off. One caveat is that the wire pins in the assembled sections do not appear to be glued in place, so you’ll need to apply a drop of CA to secure them. Interesting, thanks. Do you still need to drill out holes etc. as with Friul? I've never needed to drill Friuls. How does that work? Sometimes I've had links where the hole(s) were flashed over or not deep enough. Drilling out partially flashed holes in Friul tracks is SOP. They cast fine holes for the track pins, but flash at the openings cannot be avoided. The same applies to the Sector links, but you only need to do less than 10 versus 160. I’ll repost photos of the KV-II set I have at lunch time. They are nice and fit the kit's sprockets. Thanks for the shots. Looks great. Never heardof these sector 35 tracks, they sound interesting, thansk for the info. I have on occasion had to clear out the holes on Fruils, but not on every set. I'm trying them out for the first time. Have a set coming from overseas for a Meng Panther Ausf. 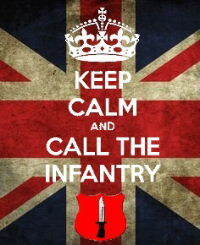 A I'm doing. Wanted more realistic sag but was also motivated by Meng having molded each track link with two separate horns and 6 or 7 sprue gates PER TRACK. It's insane. Ye, that seems to be gettoing quite common. I built the Amusing Hobby Lowe a couple of months back and i think there were 6 pieces to each link, and the Trmp AS 90 was similar plus loads of sprue gates. Thats deffinetly one advantage with metal tracks. I also picked up some plastic Rye Field tracks as well which look really nice, hollow horns molded right in, plastic pins, a jig, 2 sprue gates, only downside there is they're on curved faces and there's an ejector pin mark in the middle of the link. But, way better than e.g. Meng. How much more expensive are these as opposed to a box of Fruils,I'm certainly not to the point where I need to add another expense to the cost of a model,I mean whats a couple of hours assembling Fruils,for me its part of the build.If the cost is $10-20 more,then I will pass and build the Fruils. I picked them up around $50 USD w/ free ship from Ukraine. Tojo72, I think I paid a little less than $40 for mine, also from the Ukraine (Hobbyterra). They offer free shipping over a certain amount, so I have always waited to order enough to meet that amount. Adding stuff for friends helps too. I noticed while Friuls cost about that much in the past, they have gotten more expensive. comparable price then I would look at them,I have used Fruils,Spade Ace,I’m okay with Magic Tracks,have used Meng and Tamiya indies,always try to save when I could.Its never automatically replace the kit tracks for me.Masterclub is supposed to be decent also. Is there on the box any website of Sector35 or e mail or phone? I checked scalemates and theres no link to a site. I think these guys are fairly new, there are only 2 sets listed. I quite like the spade ace ones, i had no issues with blocked hole when i used one of there sets, and yes, the Fruil price does seem to be going up just as they are getting more competition. While i do like Magic tracks, i have found they all the plastic track set i have used don't like oil washes, i think it must be my thinner which softens the platic and the tracks often break up as i fit them. So now i am finding myself looking at metal tracks even when there are indy link tracks in the set. I recently bought a couple of master metal tracks to replace the kit tracks in 2 Takom kits, i am keen to see how the master tracks go together. I just did some searching and could not find anything. I wounder if they are a range put out by anotehr company. There does seem to be a lot coming out of the Ukraine and many companies seem to have different ranges, it can be hard to keep up. 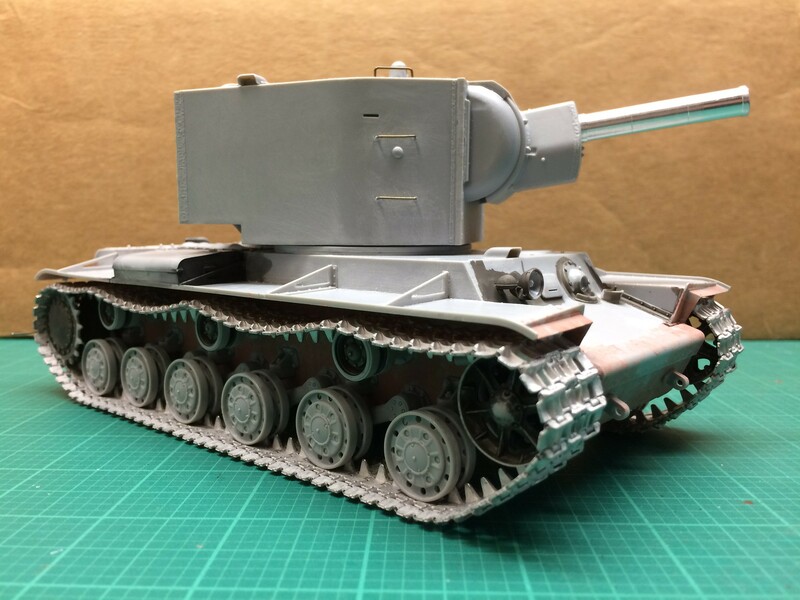 Piterpanzer, check out Hobbyterra’s site. I think it’s hobbyterra.com or something like that. They have an extensive line of Sector tracks. 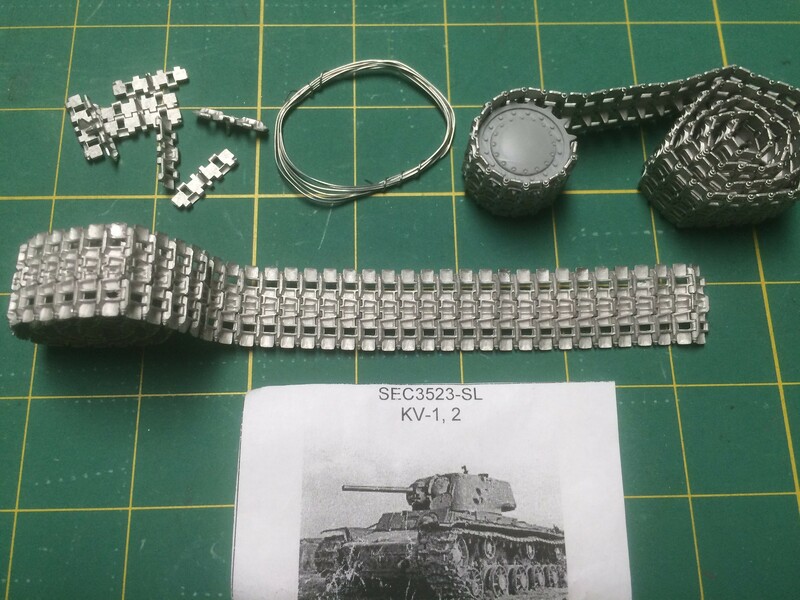 I have sets for postwar Soviet tanks and a bunch for the 1946 “E” panzers, i.e. E10, E25, E75, etc. Yes, I `ve seen this site with Sector`s product , but nowhere link to the site or contact. I'm using Friul tracks for the first time on a StuG IV from Dragon. The instructions make mention of right side and left side tracks. The Dragon tracks are marked "100R and 100L". I cannot see any difference there, so how do I know which is which with the Friul tracks? The links for Friul come in two packages but they are unmarked. The end where there is an opening for the linking wire is the inside; that way you don’t see all the open holes from the outside. I have had 50-50 luck with Friuls, as I get a lot of same-handed tracks! I ended up punching bolts and washers and tediously adding them to cover the holes. Not fun if you gotta do 160 or so links. Sector tracks have been 100% good though. Thank you! Holes inboard was my fallback, just on looks alone.